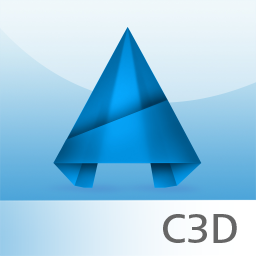 Civil 3D Modules Bridge, Geotechnical, River and Flood Analysis will become available to AutoCAD Civil 3D Subscription customers on August 7, 2015. Previously, these were accessible only to Infrastructure Design Suite Premium or Ultimate Subscribers. Customers can download the modules by logging into their Autodesk Account with ID and Password. The Civil 3D modules provide design, analysis and simulation features that enable connected workflows, minimizing the need to reenter information into separate applications. The Bridge Module helps integrate civil and structural engineering processes to model, analyze, and document bridges. The Geotechnical Module helps streamline the import and use of borehole data. The River and Flood Analysis Module automates river analysis and floodplain mapping functions. Bridge Module Enables customers to model bridges for placement based on AutoCAD Civil 3D roadway geometry and surfaces, including bridge deck, piers, abutments, bearings, and barriers, and extracting strings such as girders to create AutoCAD Civil 3D profiles. Geotechnical Module Enables customers to streamline the import and use of borehole data. Import boreholes into AutoCAD Civil 3D, create surfaces from borehole strata. Module Automates analysis and mapping functions, including HEC-RAS cross section cutting, water surface analysts, and flood plain mapping. Perform automated bridge scour computations. Generate floodplain and floodway maps for agency submittals. 2016 versions of the modules are not compatible with previous versions of Civil 3D and Infrastructure design Suite Premium and Ultimate. Customers on Desktop Subscription will have access to the most current versions of their licensed software.